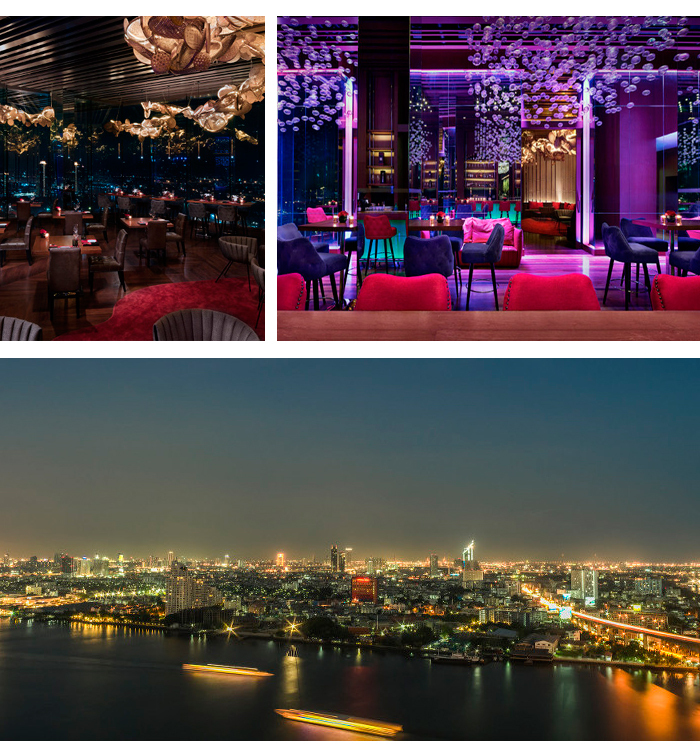 Located 26 stories above Bangkok’s Chao Phraya River, ATTITUDE Rooftop Bar & Restaurant is one of the city’s top bars – and not just because of it’s lofty position. Blending genuine hospitality and an exciting food and drink offering, the atmosphere is warm, welcoming and oh-so chic – perfect for casual cocktails before exploring the rest of the city. On arrival, you’ll be greeted with a traditional Thai welcome and be guided to your table. Ask for a window seat to admire the sparkling skyline and watch the city come to life. Sleek and contemporary with arty features, this is a very modern bar and restaurant. The LED lighting gives you the feeling of floating among the stars. We started with two starters: cauliflower popcorn bites and beef strips in a deep red wine sauce. Portion sizes were ample but not overwhelming – just enough to keep you going until the spectacle of the main course. We ordered seasoned stuffed chicken breast with creamy mash and asparagus as well as venison with vegetables. The meat was tender and cooked to perfection. 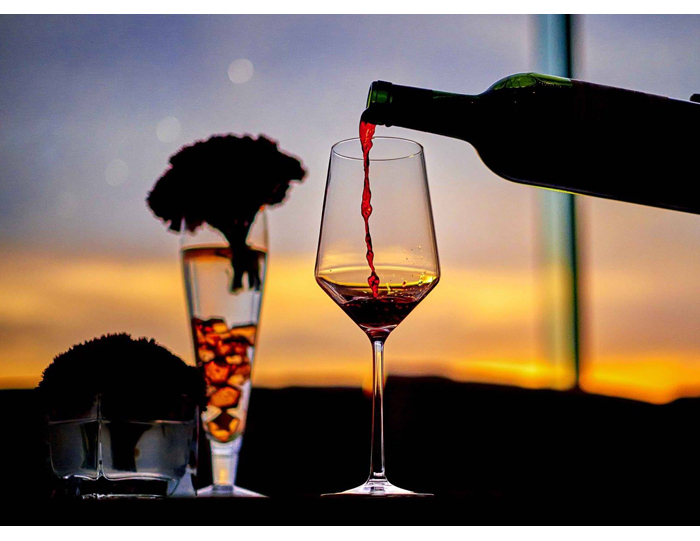 All dishes were complemented with the sommelier’s wine suggestions, which paired each plate perfectly. We saved just enough room for dessert, which was just as well because this may have been my favourite part of the fine dining experience. The orange and chocolate fondant was beautiful and our only complaint was that there wasn’t enough! As well as the aforementioned wine tasting courtesy of the friendly sommeliers, the cocktail list is also worth a try. The bar shakes up classic and contemporary drinks and can also make something unique just for you. Best sipped on the sofas dotted around the pool while gazing up into the night sky. 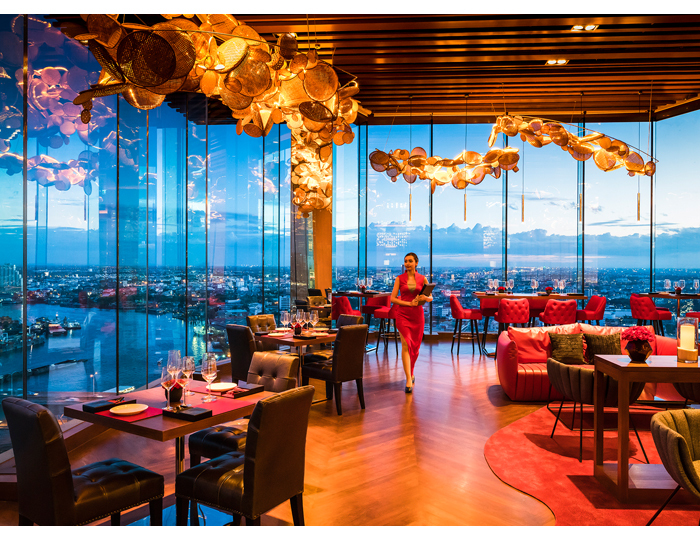 Incredible views and an exceptional dining experience, Attitude should be a must-stop for anyone planning a honeymoon in Bangkok. The staff were knowledgeable, welcoming and always ready to help. It’s the perfect venue for sunset drinks as well as a celebration meal.